Collaboration is a twenty-first-century skill that is not fostered enough in mathematics classrooms. When students talk to one another, they improve their own reasoning and are exposed to other strategies. When students work together, their learning increases. 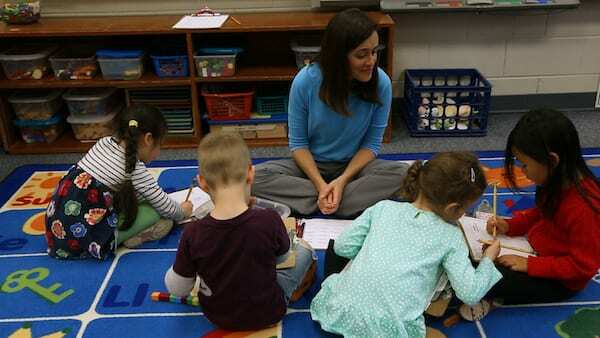 And they don’t just learn mathematics—they learn how to work in groups, monitor their own behavior, and interact with peers who have different experiences or ideas. When we use math workshop as our model of instruction, we believe in a student’s right to a deep, conceptually based education. We believe that students can and should learn from one another through collaboration and rich mathematical discourse. 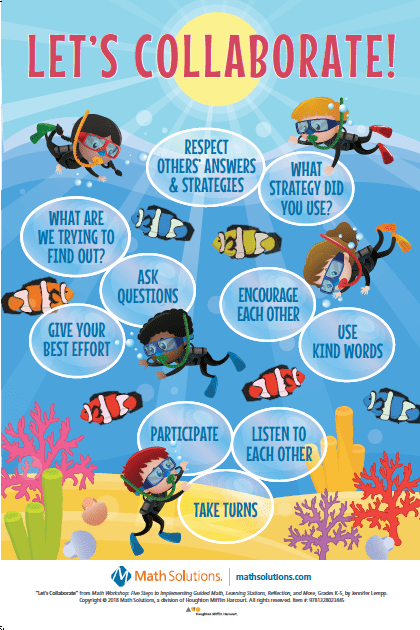 Foster collaboration in your classroom with this inspiring poster full of tips for students as they collaborate and work together. Fill out the adjacent form to download. Fill out the form below and you’ll receive the Math Workshop Collaboration poster as a PDF.